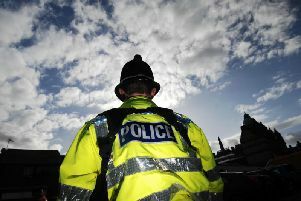 Two people arrested in connection with the stabbing of a man in Padiham town centre have been bailed. The 31-year-old woman from Padiham and the 27-year-old man from Blackburn have both been bailed until August 12th pending further enquiries. Police were called at shortly after 6-15pm on Sunday following reports a man had been stabbed on or near to Burnley Road. The 40-year-old man approached some members of the public on Gawthorpe Street and he was taken to Blackpool Victoria Hospital suffering from multiple stab wounds. His injuries were not serious and he was discharged from the hospital after receiving treatment. Alternatively Crimestoppers can be called, anonymously, on 0800 555 111 or online at Crimestoppers-uk.org.